As my 7-year-old daughter gets more interested in school sports and outdoor activities, Title IX, which had its 45th anniversary last month, is becoming an increasingly personal and powerful piece of legislature for me. 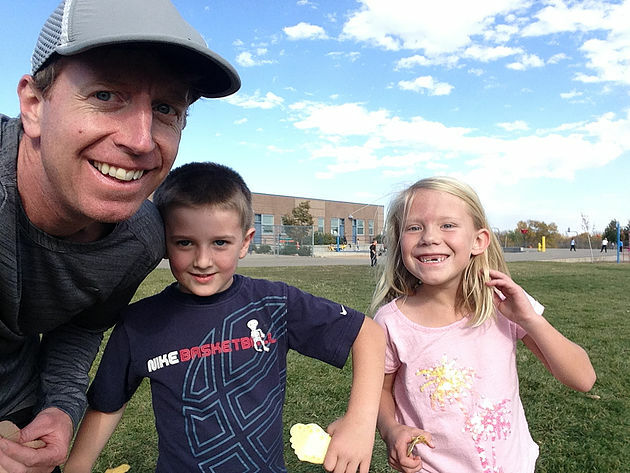 My daughter participated in Run Club last year in first grade along with nearly 150 kids across all grades in her school, about half of them girls. Just a few decades ago, this wouldn’t have been possible. No doubt, progress has been made since then. In 1972, only 3.5% of girls participated in school sports. 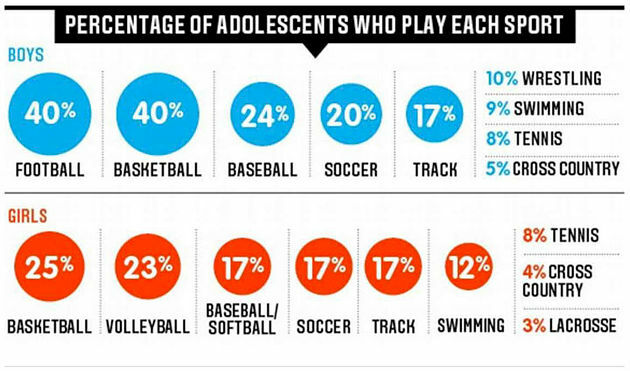 High school boys outnumbered girls in sports by 12.5 to 1. Today, 47% of girls participate in a team sport by the time they’re 6. More evidence of progress arrived just last week as NPR reported that the Navy had its first two female candidates for special ops—including one potential Navy SEAL. This comes just 18 months after the Pentagon removed its restriction on women serving in front-line combat positions. There are still some wankers out there who complain that the more opportunities there are for girls in high school sports the fewer there will be for boys. (No kidding–it’s called competition.) Opponents may point to a 2015 report by the National Association of State High School Association that girls’ participation in sports increased for the 27th consecutive year with an additional 36,591 participants and set an all-time high of 3,324,326. It should be noted that in the same year, boys’ participation increased about 25,000 to an all-time high of 4,544,574. While the gap is closing, it doesn’t appear to have the effect male-supporters suggest. We know things are getting better, that gender equality is improving, that many of the walls that prevented “minorities” from achieving their dreams are being broken down. But, we still have a long way to go. Take a look at the Kansas State University sports program. 49 percent of students are women, and 52 percent of them participate in the university’s athletic program. Yet, women receive only 35 percent of athletic scholarships. A report from ESPN in 2013 illustrated the gender gap in school sport participation. While the percentage of girls matched boys’ participation in track and tennis, girls were outnumbered by boys in every other sport except swimming. Now, I don’t think that 50/50 participation in sports is the goal of Title IX. But, I do think that girls should have an equal number of opportunities as boys to participate in school sports and events. It’s possible that girls are naturally less interested in sports, or that girl sport participation numbers are reaching their max potential. But, I doubt it. We can’t underestimate the often negative influence of culture. There shouldn’t be a gate-keeper to opportunity. Women and girls must be free to make their own choice. I will encourage my daughter to participate in sports as long as she expresses an interest in them. And I’ll push her to perform her best. But, I will never force her to go out for a sport just because it’s symbolic of women’s equality. I want my daughter to follow her own heart—not so much react to what society says she can or cannot be. I encourage her to simply be who she is while reminding her that she’s not limited by social boundaries. That said, my daughter loves to run. She’s a natural. And she’s fast. I will be a vocal supporter of Title IX in all areas of life, not just sports. Title IX has helped our culture evolve and change the way women see themselves. I see it every day in the empowered women in my life including my entrepreneur mother, my wife who balances a career and her own jewelry company, my boss who’s the VP of Marketing at Road Runner Sports, and many others. It’s changed the way the last couple generations of boys see girls, and today, how many men see women. And that’s why, the next time a boy tells my daughter she shouldn’t join a team sport, or that she can’t run as fast as a boy, I won’t need to take her home and wipe away tears from her eyes. I’ll just say, “Think again, small fry,” and smile as I watch my daughter smoke that boy on the track.